Andy Hirst from the age of 10 has been passionately interested in birds, which has developed in to a full-time hobby and profession. For the past 38 years he has watched birds throughout the length and breadth of the UK and further afield. Although more recently most of his birding is close to home, surveying, filming and birding in SK58 (a 10km square between Sheffield, Rotherham and Worksop). He was the youngest ever Young Ornithologists Club (YOC) leader and ran a very successful group in Sheffield for seven years. In the mid 1980's he was active in protecting Goshawks in the Peak District, as well as assisting RSPB staff with the development, trials & installation of nest intruder detection equipment. He also spent a summer season as a Species Protection Warden for the National Trust, providing 24 hour cover on (then) rare nesting Peregrines in the Peak District. In 1992 Andy was cofounder of the very successful SK58 Birders, a local bird group covering a 10km x 10km square (SK58) between Sheffield, Rotherham and Worksop. SK58 Birders. During this time Andy has served as Chairman and Treasurer. He has been Recorder for the past 18 years and contributor, writer, co-editor and editor of the multi- award winning annual bird report "The Birds of SK58 ...". He has also successfully developed the video production side of SK58 Birders. He instigated the SK58 Birders website, which is frequently updated. 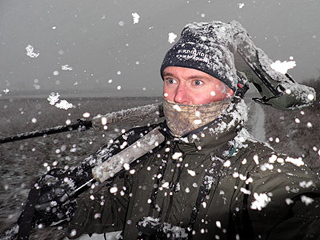 In 1994 Andy became the first employee of the newly formed BirdGuides Ltd in Sheffield. A multimedia and video production company producing multimedia products for birdwatchers. During his 17 years with the company he served as Office Manager and Production Manager. He was responsible for bolting the various CD/ DVD products together, as well as filming, editing and archiving video footage and sound recordings using Final Cut Pro v1.0 & v5.0 and Cool Edit, on footage and sounds captured on Hi8 and latterly DV/ HDV with experience of Digi-Beta & 35mm film formats. 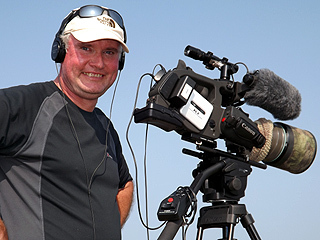 All this as well as sales fulfillment, Thanks to BirdGuides he's travelled to the Middle East, Canada and the United States and throughout the UK filming/ editing & archiving footage of birds for the BirdGuides library. Andy setup his own enterprise, under the name Gone Birding in 2003. 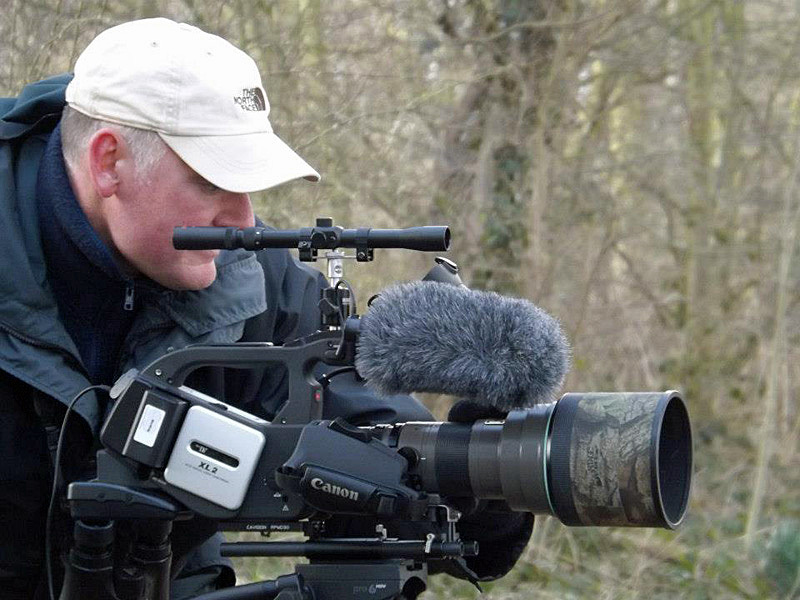 Putting his skills and experience to good use in the commercial birding/ wildlife production scene. Developing/ leading small group tours within the UK and overseas, something he had successfully done for friends and local groups for over 25 years. He also puts his filming and editing skills to good use freelance. Despite all of these distractions' he still gets out birding in his favoured SK58 and further afield. When not at work Andy splits his time between SK58 Birders and Gone Birding. As well as filming & editing for SK58 Birders & Gone Birding. He is still Group Recorder and very much a driving force within SK58 Birders. Andy was made redundant from BirdGuides at the end of March 2011. He went self employed 3 days later, using his skills and experience from more than 30 years in the birding scene, plus his professional skills from a wide experience base. Currently Andy is taking on contract bird survey work and is putting in many hours surveying sites in Yorkshire, Lincolnshire and further afield, using BBS/ CBC methods, as well as Vantage Point counts. In 2016 Andy began work for the Peak District Park Authority, so hopes to explore the Peak District more, splitting his time between home, Bakewell and Chesterfield. A developing project for Gone Birding & Andy is to build up a film archive of UK & European birds. Over time this will be a great resource covering many species in all plumage's as well as capturing behaviour, something we can do with our knowledge of birds, locations and behaviour. A monumental task but undaunted, a project Andy is particularly looking forward to. We have a 300mm lens to capture the action and will have a camera specifically for the task. We continue to film, develop and produce products for mobile devices, so we'll be out with our video camera, editing the results and hopefully getting in some local birding within SK58- watch this space!